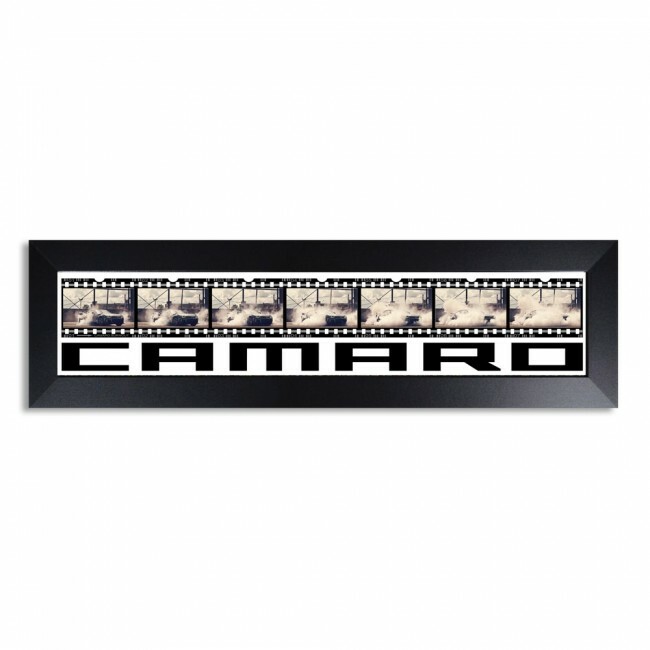 Feel the nostalgia of this film strip print with it's progression of a Camaro burn out. 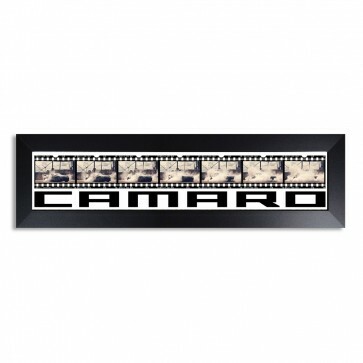 Professionally framed in black Bison Wood. Comes ready to hang with attached hanging wire. 11"H x 43"W. Made in the U.S.A.